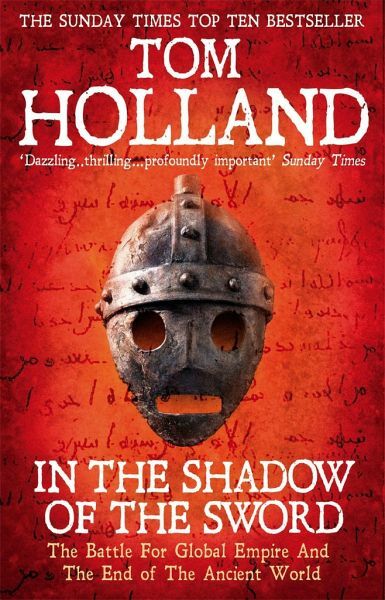 A SUNDAY TIMES TOP TEN BESTSELLER 'A stunning blockbuster' Robert Fisk 'A compelling detective story of the highest order' Sunday Times In the 6th century AD, the Near East was divided between two great empires: the Persian and the Roman. A hundred years on, and one had vanished for ever, while the other was a dismembered, bleeding trunk. In their place, a new superpower had arisen: the empire of the Arabs. So profound was this upheaval that it spelled, in effect, the end of the ancient world. But the changes that marked the period were more than merely political or even cultural: there was also a transformation of human society with incalculable consequences for the future. Today, over half the world's population subscribes to one of the various religions that took on something like their final form during the last centuries of antiquity. 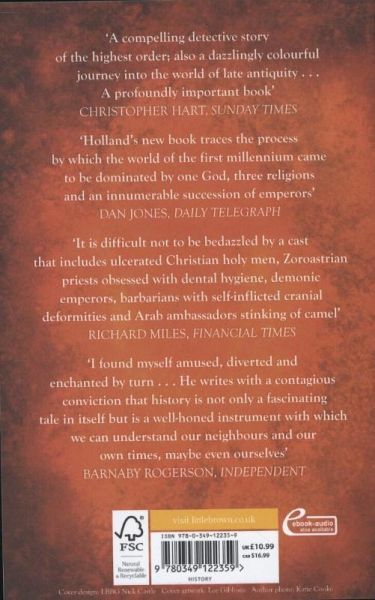 Wherever men or women are inspired by belief in a single god to think or behave in a certain way, they bear witness to the abiding impact of this extraordinary, convulsive age - though as Tom Holland demonstrates, much of what Jews, Christians and Muslims believe about the origins of their religion is open to debate. In the Shadow of the Sword explores how a succession of great empires came to identify themselves with a new and revolutionary understanding of the divine. It is a story vivid with drama, horror and startling achievement, and stars many of the most remarkable rulers ever seen. 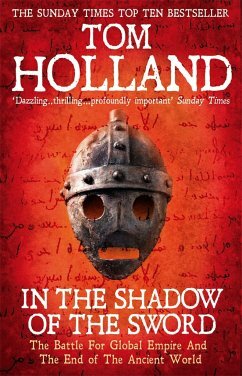 Tom Holland is the author of Rubicon, which was shortlisted for the Samuel Johnson Prize and won the Hessell-Tiltman Prize for History 2004; Persian Fire, which won the Anglo-Hellenic League's Runciman Award 2006; and the highly acclaimed Millennium. He has adapted Homer, Herodotus, Thucydides and Virgil for BBC Radio.